By Brian P. Dunleavy Chain retailers and independent optical shop owners rarely cross the competitive divide and share ideas. However, each group can learn a lot from the other – particularly when it comes to marketing spectacle lenses. Chain retailers across Canada have achieved great success by developing “house-brand” (or private-label) lens lines that make their spectacle products appealing to consumers – and emphasize design features and benefits in a way that’s easy to understand. These brand names may highlight the thin, lightweight characteristics of high-index or polycarbonate lenses or the visual benefits of freeform lenses; they may extol the virtues of ultraviolet light protection offered by polarized sunlenses or the convenience of photochromic lenses. As a result, consumers shopping at chains that use this technique know what they’re buying. 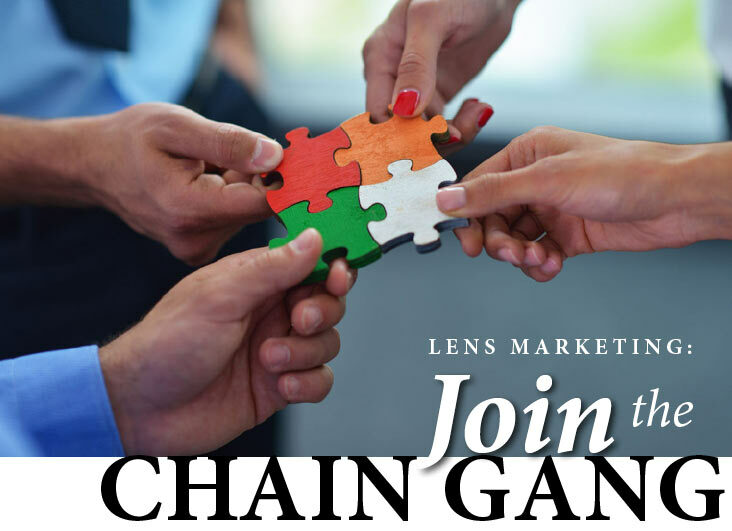 For independents, to use the same branding approach as their chain counterparts is complicated by the fact that they purchase lenses either directly from the manufacturer or through wholesale laboratories. Because independents don’t have the same “buying power” as chains, they don’t have the same opportunity to negotiate the creation of their own private-label brands with vendors.